While Maruti is yet to announce the launch timeline for the uber-hot Swift Sport hatchback, global markets are already getting limited edition versions of it. 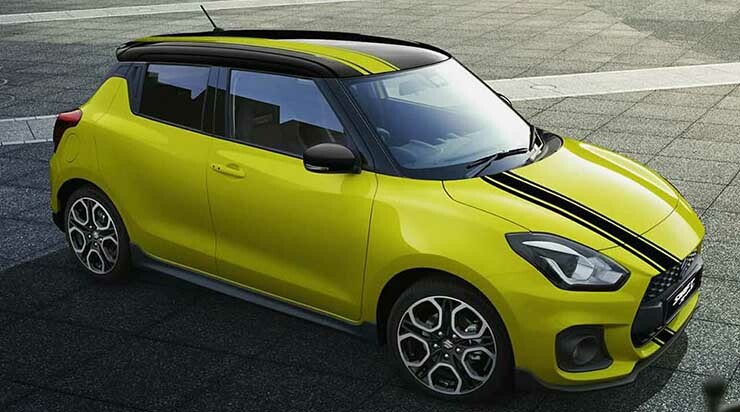 Italy is one such market where Suzuki has announced the Suzuki Swift Sport BeeRacing Limited Edition model. If you’re thinking that this is something much faster than a regular Swift Sport, hold your horses. It’s nothing more than a cosmetic enhancement but something that make the Swift Sport looks even more sportier. Most people will love it. Talking of changes on the car, it features a two-tone paintwork in Champion Yellow and Dubai Black Metallic. There are contrast GT stripes on the hood, adding to the racy appearance. Apart from these changes, the Swift Sport remains intact mechanically. It’s powered by a 1.4-liter turbocharged petrol engine that Suzuki has named BoosterJet. This engine makes 140 Bhp of peak power and 230 Nm of peak torque. A 6-speed manual gearbox is standard while a 6-speed torque converter automatic gearbox is available as an option. The Swift Sport is built on the HEARTECT platform, which means that it’s quite light at under 1 ton in weight. This gives it a good power to weight ratio, enough for an 8.1 second 0-100 Kmph acceleration timing. 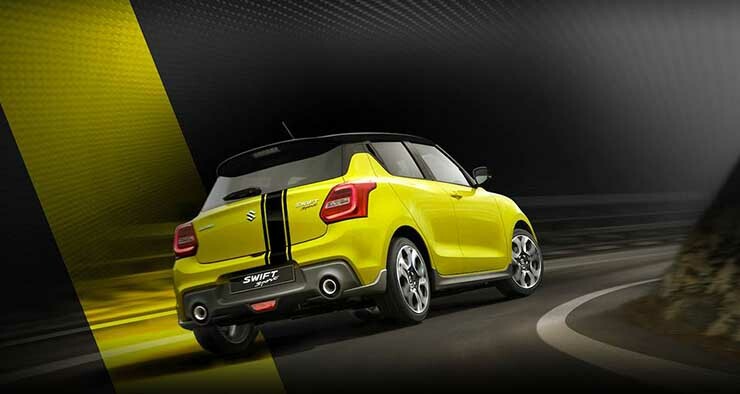 The Swift Sport also benefits from stiffer suspension, which allows it to be chucked around corners with poise. If you love driving, this is one car you’ll want to pick as a daily driver. Visually, the car gets a few changes from the regular Swift, mainly bits that add to its sporty appeal – honeycomb front grille, side skirts, bumper lip, 17-inch alloys and more. Maruti is likely to launch the Swift Sport in India sometime next year. The company is planning to localize the 1.4-liter Boosterjet turbocharged petrol engine for use on multiple cars, which means that building the Swift Sport here affordably will become possible shortly. We can’t wait! « Which SUV should Toyota launch in India: Rush or CH-R?